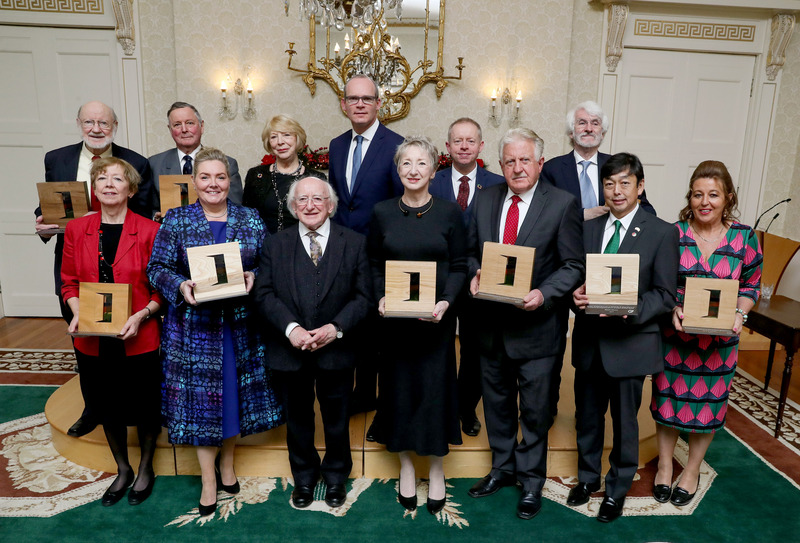 Ten members of the global Irish diaspora, including Irish America’s own editor-in-chief Patricia Harty, received Ireland’s top honor for civilians living abroad for service to the Republic of Ireland. The ceremony, held November 30 at Áras an Uachraráin, the official residence of the president of Ireland. 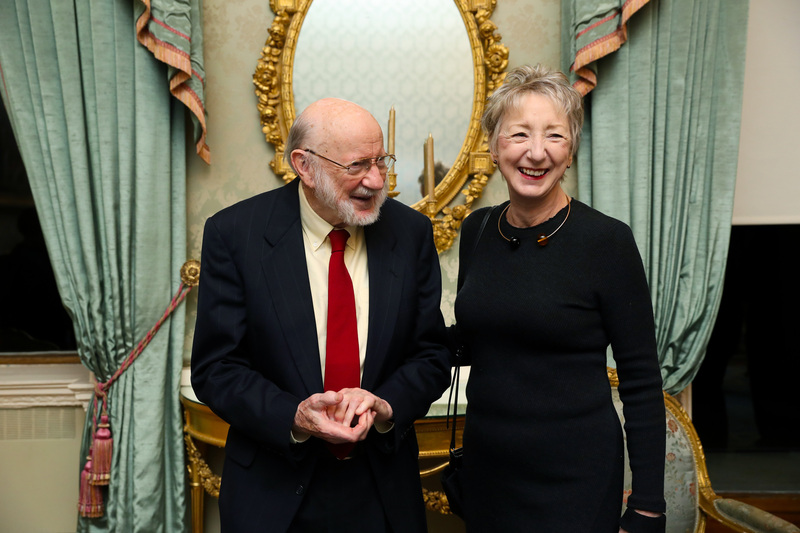 In addition to Patricia Harty, three other U.S. residents received the honor – actor Liam Neeson, Project Children founder Denis Mulcahy, and Nobel laureate Dr. William C. Campbell. 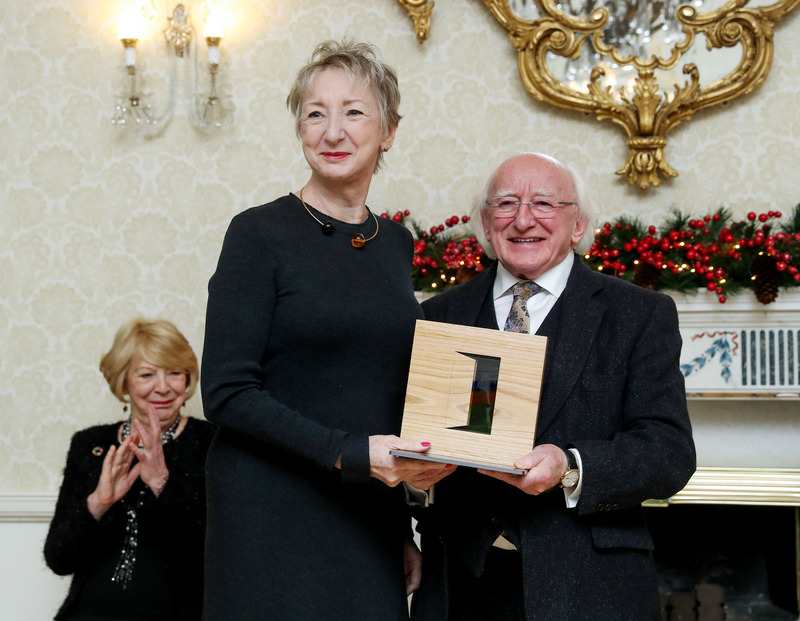 The Presidential Distinguished Service Award was established by the Government following the 2011 Global Irish Economic Forum as a means to recognise the contribution of members of the Irish diaspora, and the first awards were made in 2012. Each year, nominations a made by Irish communities abroad through Ireland’s network of Diplomatic Mission. “There were 95 nominations for these awards this year, and the level and breadth of the achievements of the people nominated are, by any measure, remarkable,” Minister for Diaspora Affairs and International Development Cierán Cannon, T.D., said in a statement. Scroll down for a complete list of all the 2017 award winners. 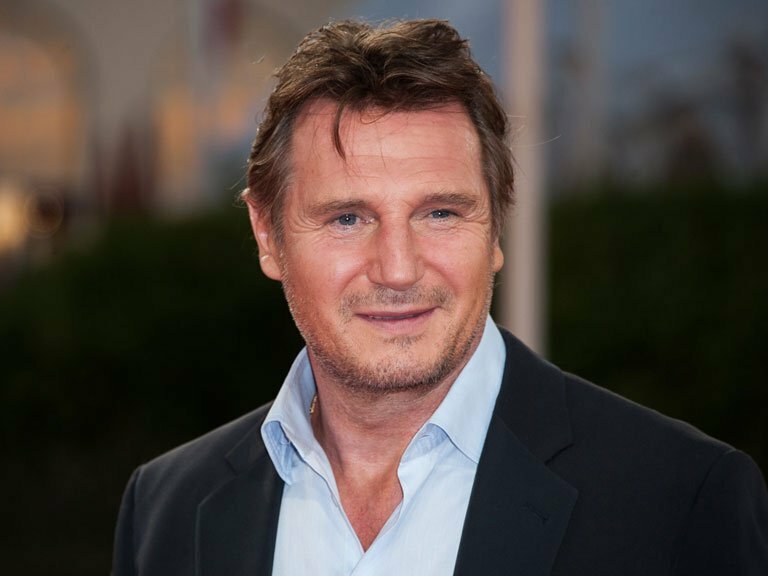 As an extremely gifted and internationally renowned actor, Liam Neeson has helped to raise Ireland’s profile and awareness of Ireland and Irish artists around the world, especially in the US where he is based. He is a strong supporter of the Lyric Theatre in Belfast, where he started his career, and the Irish Arts Centre in New York, where he currently lives. He has given his strong support in recent years for Irish cultural projects, including for the 2016 commemorations and his central involvement in the highly successful Notre Dame University documentary on the 1916 Rising. Liam has also provided the voiceover for Tourism Ireland’s extremely successful #GoGreen4St.PatricksDay video over the last two years and has previously supported a variety of initiatives to promote tourism to Ireland. He is also an advocate for highlighting the role that Ireland plays in development aid and human rights worldwide, especially through his longstanding work with UNICEF. 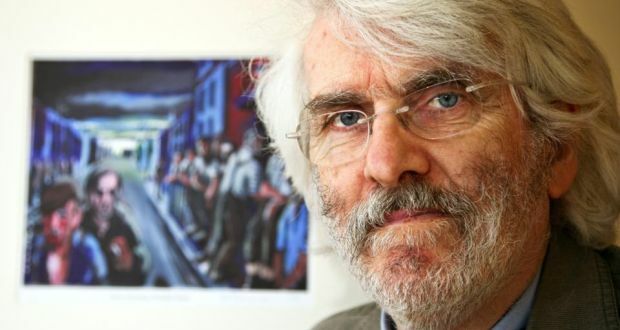 Bernard Canavan is a well-known Irish artist whose distinctive work addresses the experience of Irish emigration during the 20th century. He grew up in Edgeworthstown, Co Longford, in the 1950s. Illness prevented school attendance, but he read and drew pictures at home. He emigrated to England in 1959 with his father, and returned to work in Dublin as a graphic artist with a display and advertising agency before finally settling in London as a free-lance illustrator for most of the 1960s underground press. He had two solo art exhibitions in London and won the Lowes-Dickenson medal and scholarship to Europe followed by a State Mature Scholarship to Ruskin College Oxford 1971-3, where he read for a Diploma in Social Studies, and after that a degree in ‘Politics, Philosophy and Economics’ as Worcester College, Oxford. 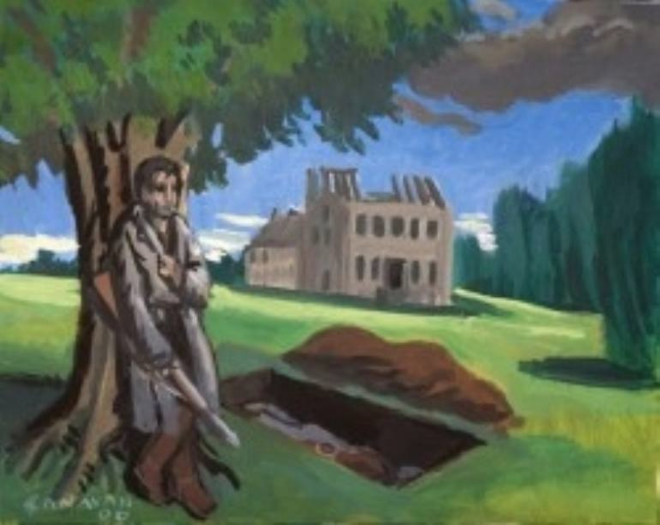 For the last forty years, he has taught Irish history and produced his expressionist paintings. He has had a number of highly acclaimed exhibitions on the emigrant theme both in Ireland and London. Bernard is passionate about the subject of the “forgotten Irish” and much of his work highlights this theme. He has previously supported Irish community endeavours through the donation of artwork. A documentary on his life is currently being prepared by a London based Irish documentary producer. Patricia Harty co-founded the Irish America magazine in 1985 and has been editor-in-chief for over 30 years. As well as projecting a very positive image of Ireland, the magazine identifies and celebrates circles of Irish American achievers in business, the arts and community service. Apart from her magazine role, Patricia is a very well-regarded figure in NYC, serving on Boards such as Glucksman Ireland House, NYU’s Center for Irish Studies and the Irish Repertory Theatre Advisory Board. In New York, she has twice been honoured by the Office of the Comptroller of the City of New York for her “outstanding journalistic contributions to the Irish community in NY and throughout the US”. In 2000, she was made a Citizen of the Bronx by the Bronx Borough President. Denis Mulcahy is the Founder/Chairman of Project Children and a Nobel Peace Prize Nominee. In 1975, Denis, an Irish American NYPD Bomb Disposal Officer, founded Project Children. Over the course of thirty six years, this Project brought over 20,000 young people – Catholic and Protestant – from Northern Ireland to encounter each other in the safe environment of North America. Denis also initiated a project to bring young people from the border counties for on-the-job training in the US, and developed the Project Children Intern Program. Denis Mulcahy, Project Children and the hundreds of families who supported the hosting of thousands of children from NI during the Troubles, were the subject of a recent documentary, “How to defuse a Bomb: The Project Children Story”, narrated by Liam Neeson. Mary T. Murphy has spent her entire working life caring for and supporting those affected by illness, drought, conflict and poverty. She is currently employed as Refugee Programme Manager for GOAL in Ethiopia, and is responsible for the set-up, overall planning, implementation and operational management of the organisation’s large-scale emergency refugee programmes that has catered for tens of thousands of South Sudanese and Eritrean refugees. During the Ebola crisis in 2015, Mary T. spent two separate stints in Sierra Leone directing and managing GOAL’s Ebola response programme. Following a decade working and training as a staff nurse in Our Lady’s Hospital for Sick Children in Dublin, Mary T. first joined GOAL in 1994 as a medical coordinator in the Democratic Republic of Congo where she helped respond to the refugee crisis precipitated by the Rwandan genocide. From 1997 – 2007, she held the post of Programme Coordinator in Burundi for the US NGO, International Medical Corps (IMC), where she was responsible for the overall management and development of IMC’s nutrition and health programmes across a number of provinces. Mary T. re-joined GOAL in 2008 and has held several high-level humanitarian-related positions before taking up her current role in 2013. Hideki Mimura, born and bred in Japan, has worked to promote Ireland in Japan for more than 25 years. He has done this, in particular, through promoting the idea of St. Patrick’s Day as a day when Ireland and Irish Culture is celebrated in Japan and was instrumental in arranging the first St. Patrick’s Day Parade in Tokyo more than 25 years ago. In 2004, he established the Yokahama St. Patrick’s Day Parade, the second biggest and second most prestigious parade in Japan after Tokyo. With significant input from him, there were 14 St. Patrick’s Day Parades held in Japan throughout the month of March in 2017. All of these parades gives Ireland a unique advantage and profile in Japan that is envied by many other countries. Mr. Mimura also organised an Irish sports day for a number of years to promote Irish sport in Japan before a local branch of the GAA was established in the mid-1990s. While Mr. Mimura does all this work voluntarily, he does it through his great affection for and devotion to Ireland, Irish people and all things Irish. He has a track record for unstintingly sustaining his support both to grow awareness of Ireland in Japan, to support Irish communities and in support of Irish culture in Japan for more than 25 years. Jacqueline O’Donovan, 49, is Managing Director of O’Donovan Waste and the daughter of the late Joe O’Donovan, who came to the UK in 1959 from Co. Cork to found O’Donovan Waste Disposal. 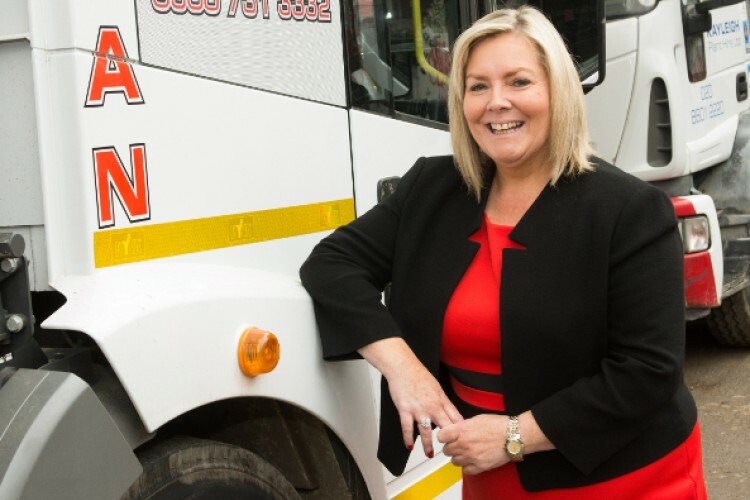 Following his death, Jacqueline took on the role of MD of O’Donovan Waste at the age of 19 and has grown O’Donovan Waste to be one of London’s leading independent waste management companies. She is a highly respected and successful member of the Irish business community and is a prominent and active member of a number of Irish business networks. She is passionate about her Irish heritage, reflected in the extraordinary work she does for the Irish community in London, including her role as Executive Board Member of the Women’s Irish Network. In 2016 she was honoured with the special Outstanding Commitment to Innovation Award by the British Irish Trading Alliance, recognising her outstanding leadership and dedication to mentoring. She has been a very generous donor/sponsor to a number of Irish charities including the Brent Irish Advisory Service, London Irish Centre, London Irish Film Festival, Irish Youth Foundation and the Irish Cultural Centre Hammersmith. She also sponsors the St. Patrick’s Day Parade in London. 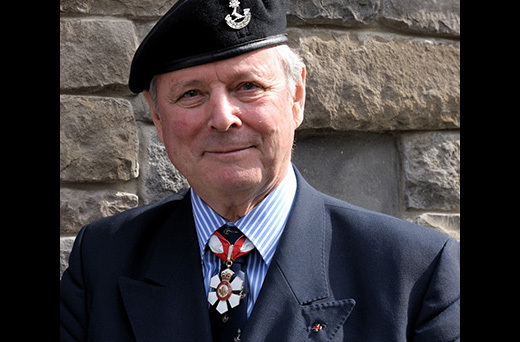 General John de Chastelain is a retired Canadian Forces officer, the former head of Canada’s military and former Ambassador of Canada to the U.S. He has also played a key role in the Northern Ireland peace process and was chair of the Independent International Commission on Decommissioning. He helped forge the Belfast agreement, the blueprint for peace in Northern Ireland, signed on Good Friday, 1998. De Chastelain was born in Bucharest, Romania, in 1937, the son of a Scottish oil engineer and an American author. Professor Elliot is an eminent Irish historian who has lectured at a wide range of British Universities and in the US. 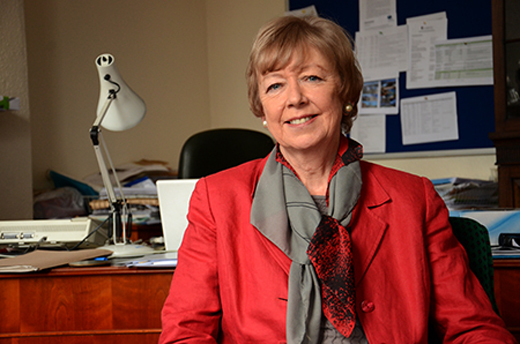 Having joined the University of Liverpool in 1993, she retired in 2015 after more than 40 years at the forefront of researching Irish history, and pioneering the pursuit of Irish Studies in the UK. She played a role in the Northern Ireland peace process, particularly as a member of the international peace commission, Opsahl Commission, 1992-93 and co-author of its report, A Citizens’ Inquiry (1993). She was also a Co-founder Conference of Irish Historians in Britain (1976) and British Association for Irish Studies (1985), as well as Director of the Institute for Irish Studies in the University of Liverpool. Particularly notable publications include her biography of Wolfe Tone (1989), Catholics of Ulster: a history (2000) and her biography of Robert Emmet (2003). Dr. William Campbell was born in Donegal in 1930. 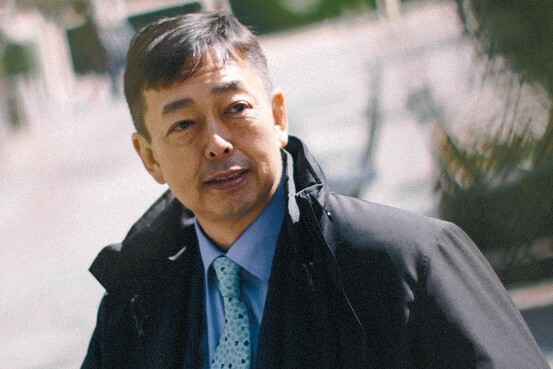 He graduated from Trinity College Dublin before obtaining his PhD at the University of Wisconsin and then working for decades in the pharmaceutical company Merck. Yea! Way to go – Patricia et al! I’m gland to find DENIS MULCAHY in the above list. I had known Denis since he was a teenager in the late 1940s. Denis was one of at least io immigrants from ROCKCHAPEL, Co. Cork who served in the U.S. military. As a bomb disposal expert in the N.Y. P.D., Denis was awarded the Medal of Valor for dismantling a very dangerous bomb in Queen. More recently he received an honorary doctorate from a Catholic college in Penn, and the Queen of England bestowed on a OBE ()rder of the British Empire on Denis Mulcahy. Also, he was twice nominated for the Nobel Peace Prise by Congressman Manton.